Evolution Gaming have launched two sets of dedicated tables for Genting Live Casino based out of their premises in Riga, Latvia. 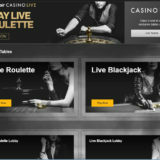 The general dedicated area which is branded in Gentings traditional land based scheme has dedicated tables for Blackjack, Immersive Roulette Lite, Baccarat (without the squeeze) and 3 Card Poker. 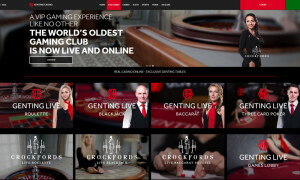 A special VIP area has also been created to cater for VIP players and has the branding of Crockfords, an exclusive land based casino based owned by Genting in Curzon Street, London. The studio has Immersive Lite Roulette, Blackjack and Baccarat with Squeeze. Access to the tables is by invitation / request only, thus providing the privacy that VIP customers like to enjoy. The dealers have been specially trained by Genting so players get the same experience they would in their land based casinos. The Crockfords studio will eventually replace the existing exclusive Crockfords Live Casino, which is currently only available to club members. “Creating a fully integrated service spanning land and live-streamed environments is central to our online strategy, which also includes the development of a new payment system facilitating the seamless transfer of funds between on and offline play. 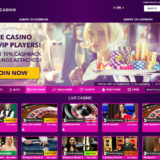 “We understand the motivations and behaviour of players in both spaces and have designed a package which best serves customer needs and a burgeoning opportunity for our affiliate partners. We have a unique advantage in the market with our ability to harness the Group’s vast knowledge of players. The tables are in addition to the general play tables provided by Evolution and these are also available on Mobile and tablet devices. 7 Seat Blackjack played with 8 decks with Bet Behind, 21+3 and Perfect Pairs side bets. Stakes range from £5 – £500. The new Evolution Baccarat without the squeeze. The Squeeze can be found on the VIP Crockfords table. This is played with 8 decks from a manual shoe and uses the new playing interface with multiple camera angles. Shuffles are performed at the table and as the squeeze isn’t involved there are no irritating delays with the shoe getting jammed. Table stakes start at £5 – to £1150. 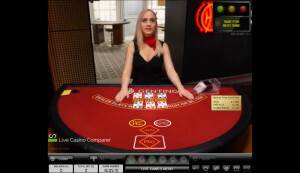 Popular Immersive lite roulette with it’s multiple camera angles. You can see the other tables in the background. I love the Genting emblem on top of the wheel. 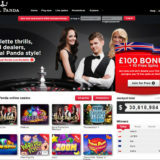 Spins from £0.20 to a table max of £25,000. Somewhat of a surprise to have a dedicated 3 card poker table. It’s a frustratingly great game, that has great highs and many lows from my playing experience. Getting trip’s when you’re playing the bonus is awesome. It’s a single deck game which is shuffled after every hand by the dealer. Stakes range from £1 to £260 a hand. In reality the minimum you pay to play a hand is £2.